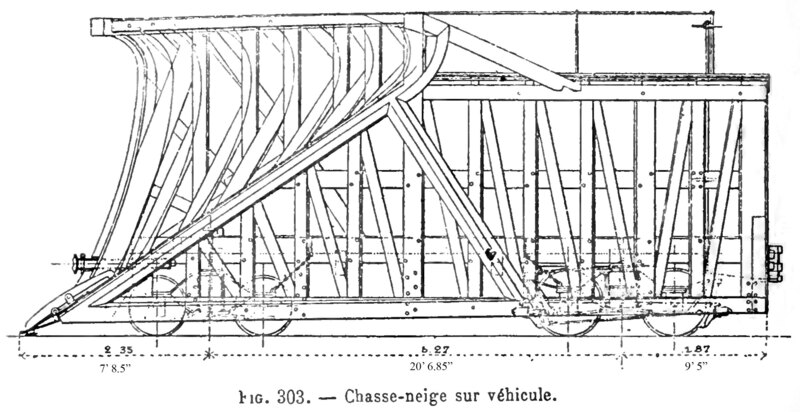 I tripped across this drawing of Central Pacific snowplow #9 on line, from a French book from 1907 [on the subject of railroad engineering, Exploitation Technique des Chemins de Fer by Louis Galine, Paris, Vve C. Dunod] – matched the drawing to an original CP drawing in the CSRM collection. I added the feet and inches conversions of the French metric. The book link is here, drawing on page 666 (680 in the PDF). "Little workshop produces a Leviathan"
DVD: "The Hidden Wonder of the World"